Cannabis growers today face a huge range of options for growing structures. Traditionally, there are outdoor grows, indoor grow rooms with lights, and year round cannabis greenhouses. 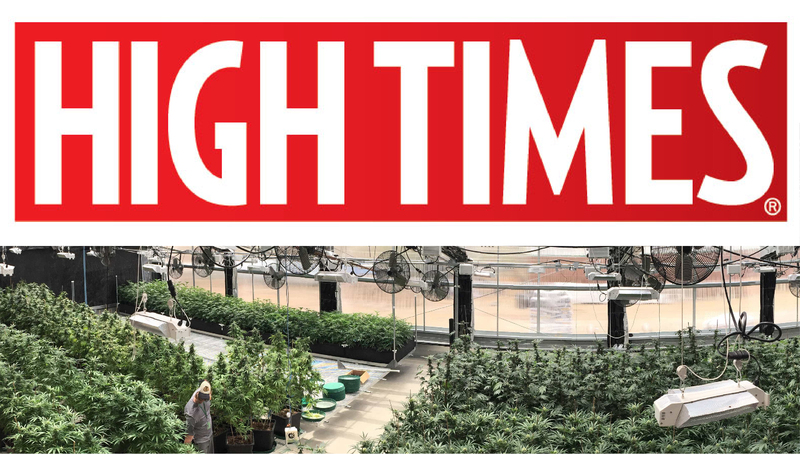 More recently, the cannabis greenhouse industry has expanded to include more options ranging from simple hoop houses to advanced hybrid year round greenhouses with insulated side walls, often called hybrid structures. Today, some cannabis growers are going a step further, limiting the air exchange and creating an almost sealed environment inside. 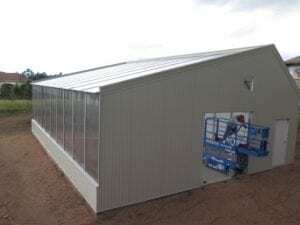 “Sealed” cannabis greenhouses — often called enclosed cannabis greenhouses — are an emerging trend because they provide greater environmental control, reducing the risk of pests and ameliorating the challenge of odors. What is a Sealed Cannabis Greenhouse? Traditional greenhouses are normally heavily ventilated during the day to prevent overheating. A standard rule of thumb in the commercial greenhouse industry is to exchange the entire volume of air in the greenhouse every minute. That requires enormous fans to constantly flush air outside. In a cannabis greenhouse, this results in continually venting warm, CO2 rich, and odorous air outside. In turn, ventilation raises a number of issues. In many areas, regulations prohibit exhausting untreated, odorous air outside. Furthermore, excessive ventilation can brings pests and pathogens into the greenhouse. Sealed greenhouses aim to solve these issues by keeping treated air inside. Instead of ventilation, advanced and innovative climate control systems provide cooling, air circulation and climate control. For instance, Ceres’ Ground to Air Heat Transfer (GAHTTM) system circulates air underground. As an underground heat exchanger, it cools the air using the soil. In turn, it also dehumidifies and circulates air, helping create a healthy environment for plants without ventilation. Furthermore, sealed cannabis greenhouses often slightly pressurized inside to prevent outside air from wafting in when doors are open. In many municipalities, regulations prohibit cannabis greenhouses from exhausting untreated air outside due to the odor. While there are a few ways to control odors of traditional cannabis greenhouses, enclosing the greenhouse and circulating air inside is often much cheaper and more effective. They reduce the reliance on cumbersome carbon filters (which need to be replaced every few months). 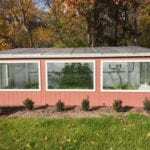 Enclosed greenhouses reduce biological contaminants (pests and foreign diseases) entering the greenhouse. Monitoring for pests is still a forefront issue; if a pest population gets in, it has a protected environment to thrive. Still, sealed greenhouses reduce pests, making the greenhouse more sanitary and controlled overall. In states like Oregon and Colorado, a new biological contaminant has emerged: hemp pollen. If there is an outdoor hemp grow nearby, air-born pollen easily enters a ventilated greenhouse and pollinates a cannabis crop, causing plants to go to seed. Seeded cannabis is still sellable, but is no longer marketable as a product direct to the consumer. Here in Colorado, cannabis growers have reported seeded cannabis plants losing over half their value. By enclosing a greenhouse, a grower greatly limits the exposure to hemp pollen, making the operation more financially secure. During the day, the heat gain of a commercial greenhouse is a double-edge sword. First, it makes it hard to keep the greenhouse cool enough. 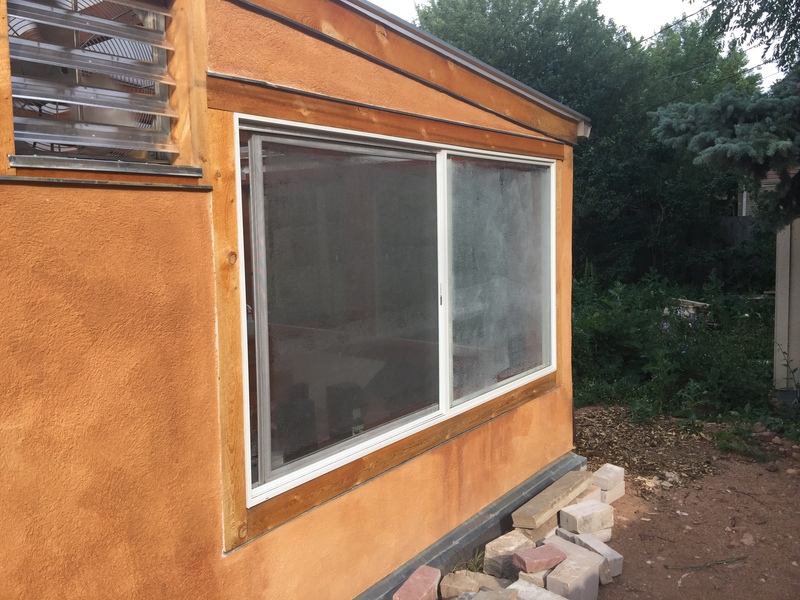 On the other hand, the passive solar gain of a greenhouse can is a vital heat source that can be used for heating at night, as long as the heat can be stored. Systems like Ceres’ GAHTTM system store heat in the soil until it is needed during cold periods by circulating excess heat underground. That greatly reduces the overall energy cost of the greenhouse, as the GAHTTM system provides year-round heating and cooling without fossil-fuels. Sealed, year-round cannabis greenhouses with GAHTTM systems are better equipped to take advantage of the natural greenhouse effect. Most cannabis growers supplement CO2 to increase yields. In a ventilated greenhouse, much of the added CO2 is exhausted outside during the day, essentially wasting it. Enclosed greenhouses are able to maintain higher CO2 levels more efficiently and cost-effectively because they retain the conditioned air inside. All greenhouses are prone to high humidity, due to the water vapor that evaporates from leaves during photosynthesis. 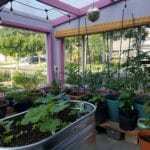 In an enclosed greenhouse this water vapor gets trapped inside, making it prone to excessive humidity, and increasing the risk of molds and diseases. To accommodate, sealed cannabis greenhouses must use a dehumidification strategy, such as Ceres GAHTTM system or standard dehumidifiers. Additionally, the greenhouse must be equipped with sufficient air circulation. 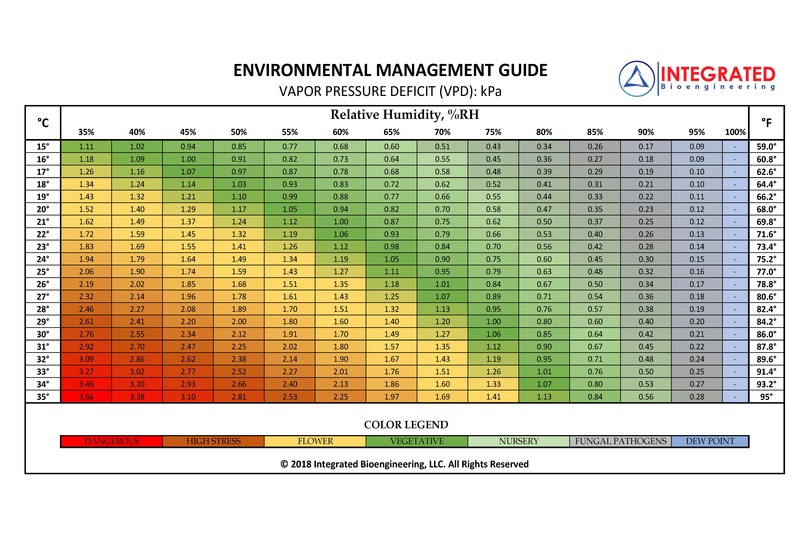 With these methods a sealed cannabis greenhouse can maintain the ideal relative humidity levels of 40-60%. Without venting, sealed cannabis greenhouses require additional cooling systems, such as a GAHTTM system, evaporative coolers or hydronic cooling systems. Many of these systems store the excessive heat during the day for use as heating at night, creating a year round cannabis greenhouse with lower operational costs. Still, the risk of overheating the structure needs to be planned for and carefully monitored with greenhouse control systems. Though sealed greenhouses offer greater control, they normally require more advanced climate control systems to handle overheating, dehumidification and air circulation. The upfront investment in an automated and controlled cannabis greenhouse is normally higher than ventilated versions. 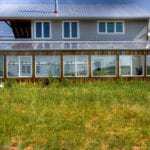 The good news is these systems most climate systems have low energy use, making the greenhouse more energy-efficient overall and the payback relatively quick. 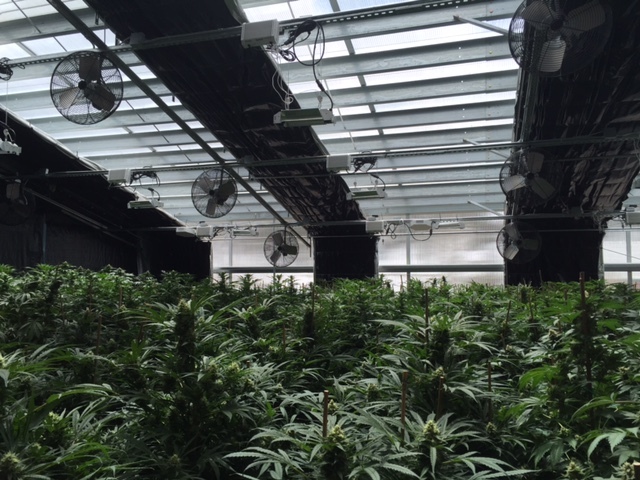 Cannabis greenhouses in urban areas are subject to tighter regulations regarding odors. 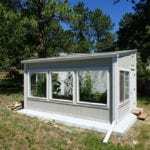 A sealed greenhouse is much easier to operate due to cost-effective odor control in tightly regulated zones. If the greenhouse is near an outdoor hemp grow – common in states like Colorado, Washington and California — hemp can easily pollinate a cannabis greenhouse crop. 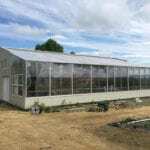 A sealed greenhouse provides a much higher level of crop protection, justifying tighter control. Though you must mitigate excess heat and humidity, sealed cannabis greenhouses offer greater environmental control. They reduce the biological contaminants and dust entering the greenhouse. Advanced climate control systems precisely regulate temperatures, CO2 and air circulation, without relying on ventilation. At Ceres, we design and build custom energy-efficient cannabis greenhouses to suit growers’ needs. We design both sealed and ventilated greenhouses, customized for the climate and the local building codes, allowing us to provide the best, most cost-effective greenhouse for every grower.